Jack O’Connor never got his rifle! In fact, with the exception of two 24” A weight barrel .270’s that were made up by Lenard Brownell in 1968 for two close friends, these Caliber/ Configurations were never cataloged by Ruger. As O’Connor and Brownell were reasonably close and had hunted together, I guess Jack just never asked Len or Bill Ruger for his “dream” No.1 sheep rifle. Well, Jack O’Connor’s dream sheep rifle has now been made. If you don’t have one by now, it is very likely that you are just out of luck! In 2016, Lipsey’s Exclusive Ruger No.1 line up included for the 1A configuration a .275 Rigby with a 24” A weight barrel and Express sights. We all know that the .275 Rigby is just a 7×57 Mauser called by its English name. Only 110 of these rifles were delivered to Lipsey’s in the time frame from September, 2016 to May 2017. Serial# range that I know of is between 134-4678X to 134-4757X. The one I kept, I did not get set up to hunt with last deer season (2016). In February this year (2017) I did get it scoped and sighted in well enough to participate with the 24 Hour Campfire group in the 2017 Hog Hunt in Crystal City , Texas. By sighted in, I just knew I could hit a hog at about 75 yards! First afternoon hunt, I shot a sow that weighed 131#. During middle of the day, a lot of shooting went on at the Thompson Game Ranch range. I took the No.1 Rigby down to see just where it was shooting. My friend, Bob Kolesar, had a target up at the 50 yard distance that he had one hole in, shot with a Boddington Leopard(7×57) that I had sold him several years ago. He said to go ahead and shoot at his target because his one shot showed very plainly. 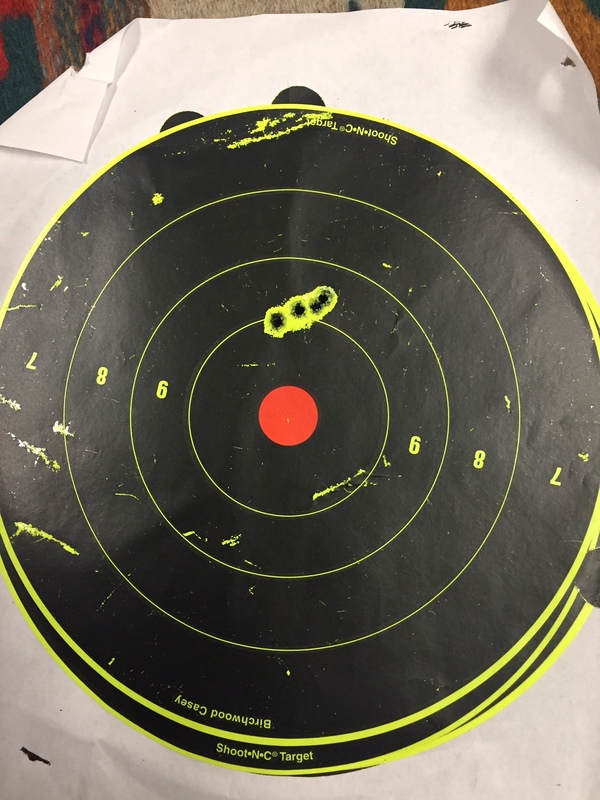 I had some Remington 140 grain soft points that I had sighted the rifle in with, so I thought I would shoot these first, rather than use my Hornady 275 Rigby headstamped ammo. My first shot was in the same hole as Bob’s, just slightly to the lower left. Another of the Remington 140’s went right next to it, again just to the lower left. I decided to fire one of the Hornady 275 Rigbys; there you see it-just to the lower left again. Not bad for 2 different rifles with 3 different brands of ammunition, without a really solid bench rest! 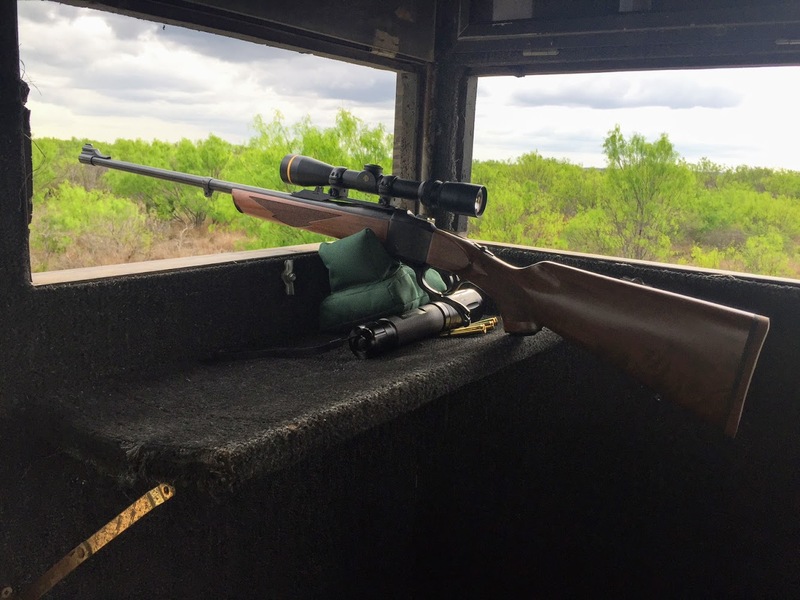 This is to be a continued story, as I plan to use this rifle this year on Texas whitetails. There is also a Mexico whitetail hunt planned for December with Joe Clayton. (1) Curiously, I have the original manuscript for this article- and in my old age, I have no clue where I got it. (2) May, 1978 issue of Petersen’s Hunting. Published 4 months after Jack O’Connor’s passing in January of 1978. In this article, J O’C mentions that the last ram he took was a Stone near Colt Lake in northern British Columbia in 1973 with one of his favorite 270’s. I have a recollection that O’Connor hunted Stone sheep one last time in 1974, but did not take a ram. I do not have, at this time, have the the source for this.